Sewing room is painted and put back together - yeah! 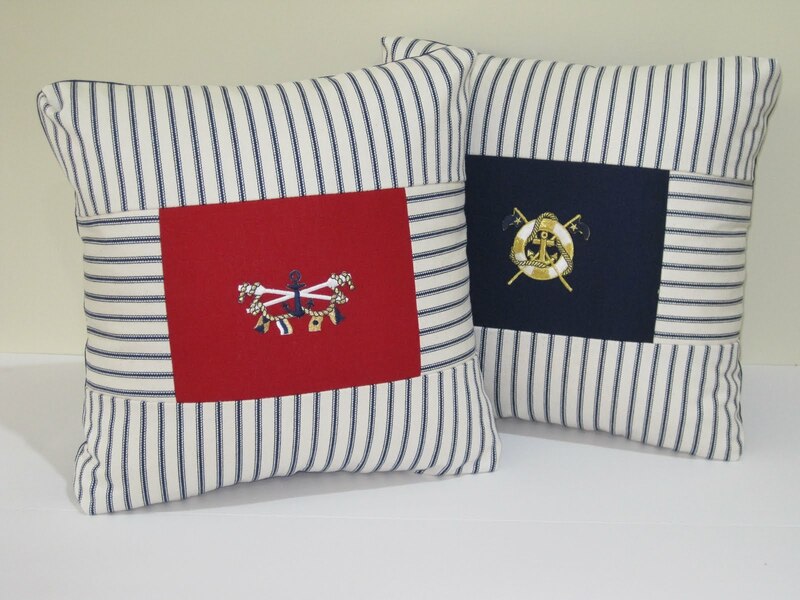 Here are a couple recent adds to my nautical pillow collection. 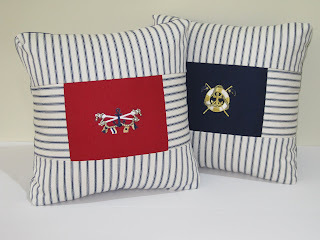 I wanted something classic and not too over the top nautical. They are 100% cotton blue and white ticking which is one of my favorite fabrics. I found these great embroidered appliques to embelish them.